In Philadelphia, carpet cleaning takes on a whole new meaning around November once the snow starts to fly. All that cinder, salt, and slush can make a huge mess. Even if you're very careful about taking your shoes off once you get in the door (and maybe placing them on a radiator, if you've got one handy), there's still a distinct possibility that that slushy winter mix will make it onto your carpeted floors. Winter isn't the only time of year that Philadelphia carpet cleaning is an issue for many households, however. If anyone in your home works construction or works in a restaurant (whether it's Pat's King of or the Continentalany restaurant will do), that raises the bar for tracked in dirt or grease quite a bit. In the wintertime, Philadelphia carpet cleaning is mostly about prevention. If your carpet starts right at your front door, many folks will have a "take your shoes off while you're still outside" policy. While effective if you can keep it in place, it can be pretty inconvenient at times. You might think of installing a moderately sized tile landing just inside of the door where people can take off their shoes in the warmth and comfort of the house, as opposed to outdoors. The grit and grease from people's shoes will not just leave stains, but can actually cut and erode the carpet fiber, leaving damage that can't just be cleaned up. During the summer months, when tracked in dirt is much less moist, Philadelphia carpet cleaning is more about frequent vacuuming. Dry dirt has a tendency to blow around and settle many feet from where it originated; frequent vacuuming (maybe twice a week in entrance rooms) will help keep the carpet in the rest of the house clean. If you have cats or dogs, your carpet cleaning needs are likely to be far more demanding. Some Philadelphia carpet cleaning companies actually offer special services for pet owners, designed specifically to remedy the odors, stains, and damage that comes with owning a pet. If this type of service is needed in your home, make sure to let the company you hire know the situation before they arrive. 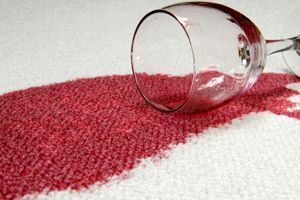 Pet-caused carpet issues sometimes require special solutions, which in turn require specific equipment and/or cleaning products; let your service provider know what to expect before they leave home base so they can get the van stocked with any extra equipment or products that they may need. Even if you've got a great cleaning regimen, after a few seasons your floors will most likely need some extra attention. Hiring professional Philadelphia carpet cleaners is likely to run anywhere from $150 to $400 depending on how much carpet you've got. When you compare that to the price of carpet installation, which can run well into the thousands, it's definitely worth the bill to extend your carpet's life by hiring a professional periodically. In Philadelphia, carpet cleaners make the biggest difference after the snow has gone; they don't call it "spring cleaning" for nothing! When considering who to hire for carpet cleaning, Philadelphia is hardly lacking in options. However, with so many local companies to choose from, it can be very difficult to tell who will bring you the best results at the lowest price. Looking through the Philly phone book will certainly give you plenty of contractors to consider, but since ads in the phone book don't tell you much about a company's performance, we've come up with a better way! Hiring carpet cleaners through HomeAdvisor isn't just convenient, it is also likely to pair you with the best company for your needs. Not only will a request through HomeAdvisor match you with only pre-screened companies, you'll also be able to read through feedback about these companies left by homeowners who have used their services in the past. This gives you a better idea of how well a particular Philadelphia carpet cleaning company is likely to perform for you, and gives each company an added incentive to do a good job and get positive feedback from you! Comment: Clean wall to wall carpet in bedroom, dâen and hallwat. Clean kitchen file. Comment: Need to have a sectional couch that has been in storage for 11 months cleaned. Comment: This is a rental unit in Center City Philly. I had a tenant from the top of the building drip dirty liquid down every single stair to the ground level. 4 flights of stairs. Comment: Purchased new home, existing carpet on second/third floor steps, hall, (5)bedrooms. Pet stains/odors noticeable. Want to avoid/minimize chemicals used and residue after cleaning. Comment: throwing out old furniture and buying new..need carpet thoroughly steam cleaned..
Philadelphia Carpet Cleaning Services are rated 4.87 out of 5 based on 726 reviews of 36 pros. Not Looking for Carpet & Upholstery Cleaning Contractors in Philadelphia, PA?